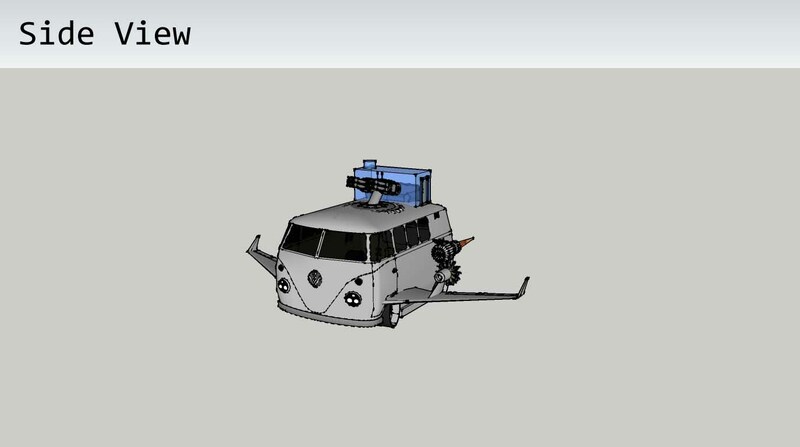 We was taught and shown how to create vehicles very quickly using Google SketchUp. We used the 3D warehouse to import already created vehicles and then used parts from each vehicle to create something new. When importing a vehicle it comes as a full group so you cant select certain parts of it which you need to do so you have to select it and then go to edit, explode and this lets you select certain parts of the vehicle. 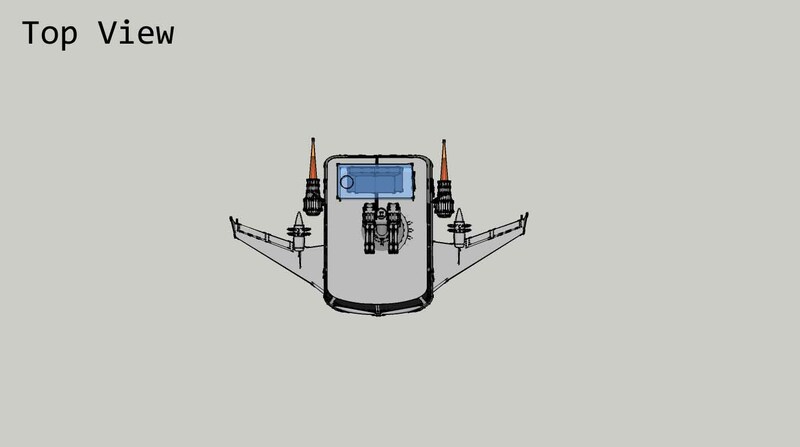 We was asked to create a spaceship using a car or a bike so i created this…. 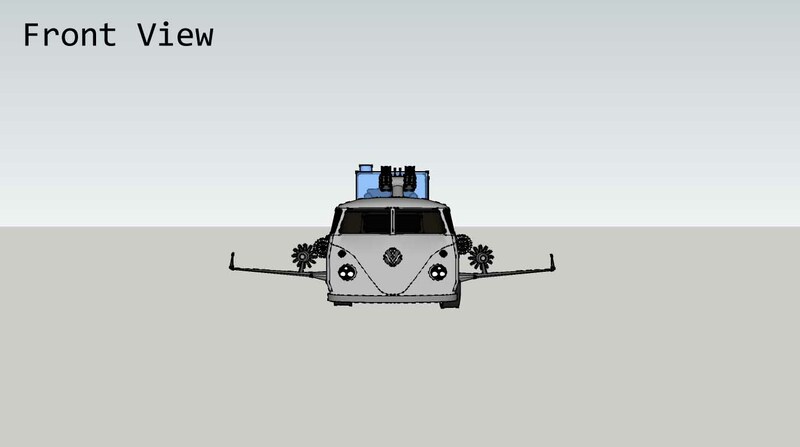 I took a Volkswagen camper van and added wings from a plane, a anti aircraft turret, jets from a spaceship and a couch. And after i put it all together i painted it silver to make it look like it could go into space. 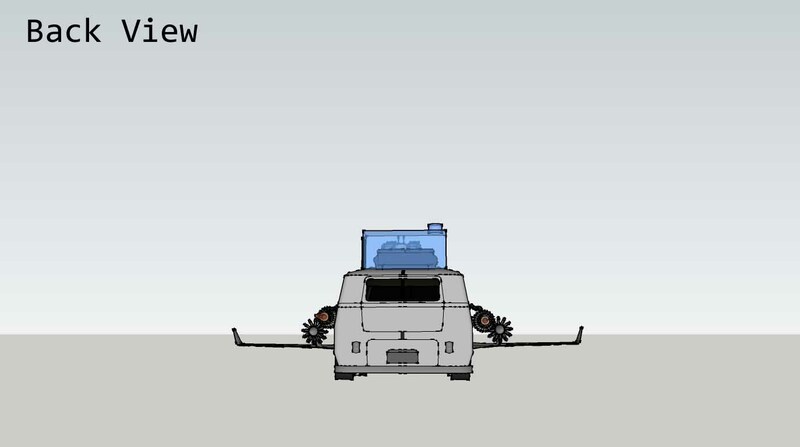 I think this is a good technique to create a unique vehicle that could be used in a game, for example this vehicle could be used in some sort of space wacky racing game. As you can see from the images some of the parts I’ve attached aren’t in the center or level with there counter part so next time i use this technique i will keep that in mind.